Chloe Honum grew up in Auckland, New Zealand and currently lives in Lenox, Massachusetts. She has a B.A. from Sarah Lawrence College and an M.F.A. from the University of Arkansas. 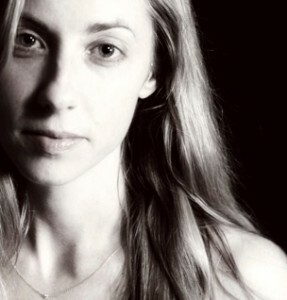 Her poems have appeared in places such as Poetry Magazine and The Paris Review, and she has been awarded a Ruth Lily Fellowship. Her first collection of poems, The Tulip-Flame, was published in 2013 and was selected as winner of the 2013 Cleveland State University Poetry Center First Book Prize. The collection is based on her personal life, and she uses rich imagery to portray subjects ranging from her mother’s suicide to the world of ballet. 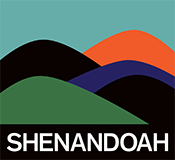 The poem was first published in Shenandoah, Volume 58, Number 3. 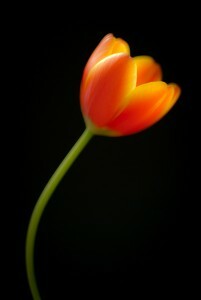 “The Tulip-Flame” paints a picture of the power that a glimpse of hope can have during the battle with depression. The poem is centered on the suicide of the narrator’s mother and its impact on the life of her family. Honum structures the poem as a villanelle, which appeals to the reader through its defining feature of repetition. In each stanza, the repetitions alternate, the first being “a hill and a lane” and the second “a centered tulip flame.” In the last stanza, the two phrases are repeated together. The repetitions create a soothing function that fits with the poems sorrow and ability to recover balance. Honum uses the painting to symbolize the narrator’s emotional state following the tragedy. Through the painting, Honum brings depression to life as different images illustrate the stages of depression. The hill symbolizes an obstacle to her path. Her use of greyness represents death and despair, as the “glinting arrows of cold” shock the narrator with the realization of her mother’s suicide (5). The rain and water represent suffering and tears. These images provide the backdrop for a field of tulips. The tulips are colorless and plain, as depression has stripped the narrator of life and passion. Yet, centered amongst these colorless figures is a tulip that resembles a flame. Amidst the gloomy setting lies one single object of color, astonishing, bright, and uncontained, but random, “as if were an accident, a stain” (16). The reader imagines that the narrator, fraught with depression, has found a flame of hope within herself, which cannot be explained. One can infer that perhaps to overcome the gloominess and difficulty within her life, the narrator must focus on the single point of hope. 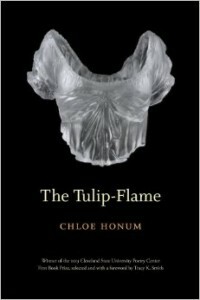 The mother resorted to suicide because of her failure to focus on hope, as the narrator suggests “the centered tulip flame” could have, but did not, intervene. However, the single tulip remains ablaze within the narrator’s heart in the midst of her mourning. As the central object of the poem, the tulip-flame represents the power of hope to bring passion back to life during hardships. After reading the poem, one is left with the sense that perhaps soon the entire field of flowers will burst into flames, unable to resist the radiance and immensity of the centered tulip-flame.